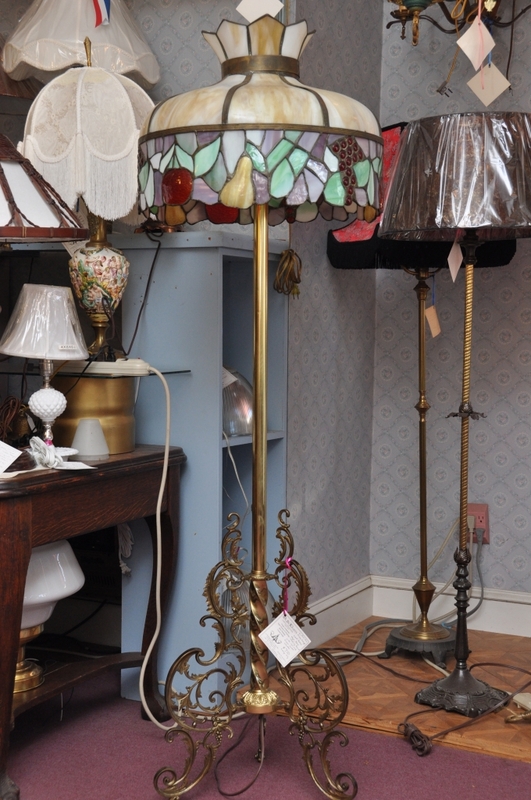 1890-1900s piano lamp base with c. 1950 stained-glass shade.Deco base with 2 candle head, new shade. (1920s). C.1910 standing floor lamp, cast iron with roped and reeded solid brass tubing. On left capo style table lamp and flush-mount schoolhouse fixture.